General Motors Co. expects to sell over three million vehicles in China for the second straight year in 2014, with its premium brand forecast to grow 40 per cent, the US carmaker’s China President Matthew Tsien said yesterday. Tsien identified luxury, SUV and compact cars as GM’s three focus areas of growth in China, reiterating plans to launch 60 new and upgraded models through 2018 in the world’s biggest market. “Cadillac certainly has momentum here in this country. 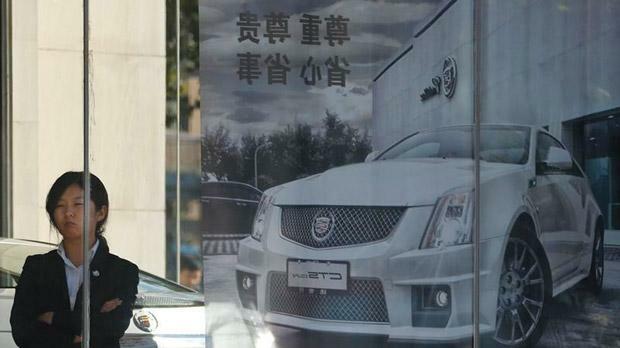 We believe the luxury market here will become the largest in the world in 2016,” Tsien told a media event in Shanghai, forecasting Cadillac sales will exceed 70,000 vehicles this year, up from last year’s 50,000. The compact car market is also an important battleground for GM because it’s the biggest segment of China’s passenger car market, Tsien said as he announced the company’s cumulative sales in China had reached 20 million units. GM, which sells cars under brands including Chevrolet, Buick and Cadillac, lost the top spot last year in China to German rival Volkswagen AG. The two firms have both announced aggressive expansion strategies. GM plans to invest €9 billion in China from 2014 to 2017. VW plans to spend €18.2 billion through 2018 in the country. GM recently introduced several new or upgraded models to beef up its product offering, including Buick Envision, Chevrolet Cruze and Cadillac ATS-L. To boost its image in China, GM and Shanghai Disney Resort have entered an agreement under which Chevrolet will become the resort’s official vehicle and will have a presence in the planned Shanghai Disneyland.